Scientists at NASA have recently turned their attention toward the dangers of near-Earth objects (NEO) such as asteroids, devising a number of ways to detect and prevent collisions with Earth, which could be cataclysmic. Much of what's in Earth's neighborhood is unknown; for example, scientists are currently grappling with the question of how to track all of the estimated 25,000 big asteroids whipping around our solar system and posing a potential threat to humanity. Asteroids, it should be remembered, are basically small planets orbiting the sun, and range in size from hundreds of miles to just a few feet long. About 17,000 large, near-Earth asteroids remain undetected by scientists. ​An object qualifies as "near-Earth" if it comes within 30 miles of Earth's orbit. Lindley Johnson, planetary defense officer at NASA's headquarters in Washington, DC, said last week that the overall population of NEOs is "almost incomprehensibly large; there are likely tens of millions of such space rocks between 33 feet and 65 feet in diameter." Asteroids that small can still be devastating. One such meteor exploded over Chelyabinsk, Russia, in 2013, smashing thousands of windows and injuring 1,200 people. That one was only 62 feet wide. But it's the big ones that pose the most potential for mass destruction, and there's an estimated 25,000 of them. One 1,500-foot-wide asteroid named Bennu, the most dangerous asteroid on the planetary science watch list, is expected to closely approach Earth, but not impact it, in 2135. NASA sent a spacecraft called OSIRIS-REx to size up the object in case of a real crisis. If it were to strike Earth, the force of the collision would be equal to 80,000 uranium gun-type bombs — the kind of atomic bomb that was used on Hiroshima in August 1945 and killed an estimated 150,000 people. Congress tasked NASA with spotting 90 percent of all NEOs bigger than 460 feet by 2020; currently only a third of such objects are being tracked by the agency. To track more of these potentially dangerous flying objects, NASA would need a dedicated space telescope for such missions. Such a project — the Near-Earth Object Camera (NEOCam) — is already in development, but has yet to receive the full funding it requires. But preventing a scenario like that in the film "Armageddon" means that we'd have to be able to do more than just detect an object that's going to collide with our planet — we'd have to knock the massive rock off course. NASA's Double Asteroid Redirection Test (DART) is scheduled to launch in 2020 and do just that. DART is exceedingly simple in terms of how it is designed to deflect asteroids: it has little more than thrusters, a camera and some navigation tools — not for avoiding asteroids, but for hitting them. Its "kinetic impact" could be enough to divert an asteroid off of a collision course. It works, basically, as a dart, hence the name. NASA also plans to test a "gravity tractor" technique. In that situation, they'd fly the probe alongside an asteroid, using gravitational forces to nudge it off course. DART will be tested in the early 2020s on Didymos B, which is just 525 feet long but travels through Earth's neighborhood at 3.7 miles per second. Asteroid collisions are "rare events," Johnson said, "but they're also an event that, if we don't find this population, can happen any day on us." 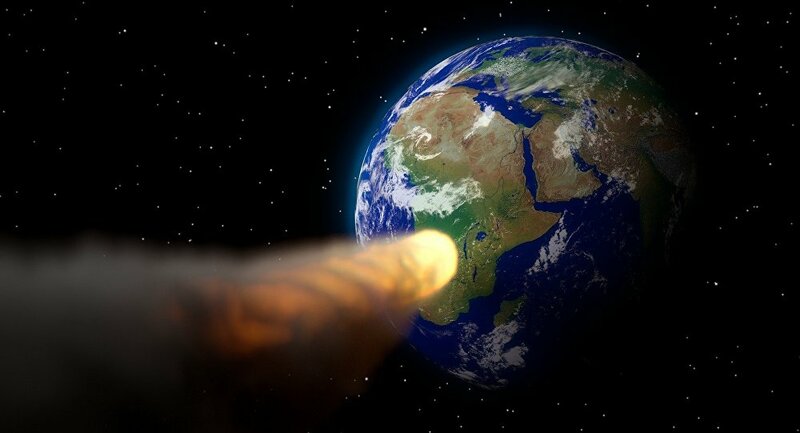 Should an asteroid be detected at the 11th hour, scientists could always nuke it out of orbit. "In principle, instead of an impactor one can use a nuclear device. The effectiveness of the method, in general, will increase: it will not use a kinetic impact, but a nuclear explosion, which is much more effective," General Director at the Center of Planetary Protection Anatoly Zaytsev previously told Sputnik. Meanwhile, asteroids aren't the only objects around Earth that could pose a threat to human life, Sputnik recently reported. Scientists around the world are trying to come up with a way to clean up the 16.5 million pounds of space junk around our planet, which, like the asteroids, travel extremely fast and can devastate whatever they impact.